Your Pet's Dental Health is Very Important to Us! Our focus is to help educate pet owners on the largely increasing rate of dental disease in pets. Dental disease is the most common medical condition in pets and is ENTIRELY PREVENTABLE....and it's so much more than bad breath. **NEW THIS YEAR** We are now able to perform a much needed service for your pets, dental x-rays! Dental x-rays allow us to see the area beneath the gumline where up to 75% of tooth structure lies. By taking dental radiographs, we can more accurately diagnose very common dental issues such as periodontal disease, tooth resorptions, impacted teeth, retained root fragments, dead teeth, broken tooth roots and abscessed teeth. Not sure if your pet needs a dental cleaning? Please call (770) 926-5311 and we can schedule your pet for a FREE dental evaluation appointment. Take a look at all of our money saving offers on services and medications. 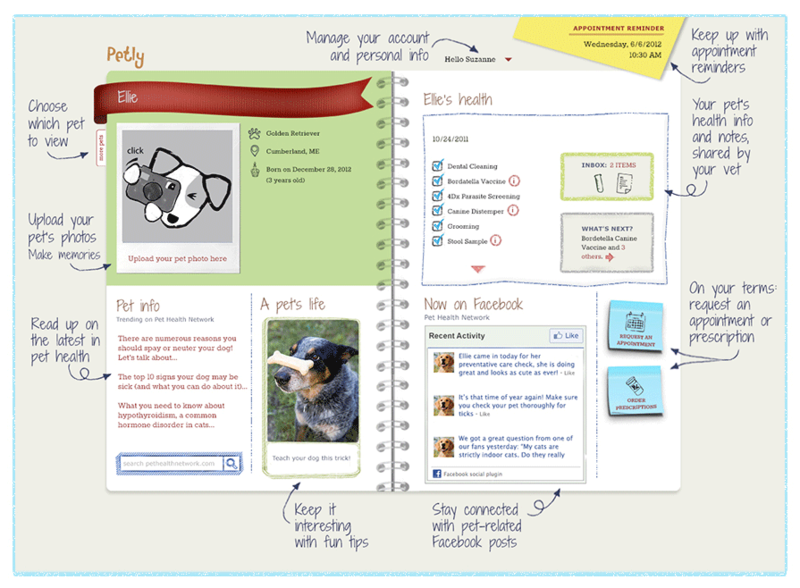 PETLY is your pets story all in one place. Its FUN it's, it's yours, and best of all it is free! Click the button above to buy from the Bells Ferry Veterinary Hospital online store. Purchasing Pet Drugs Online: Buyer Beware!